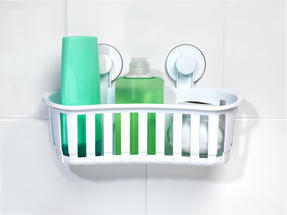 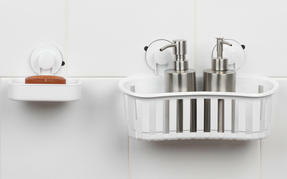 This Beldray bathroom set is the perfect storage solution for organising your toiletries. Simply attach the shower basket and soap dish to any smooth surface and the strong suction cups will provide incredibly secure hold, as well as easy installation near your bath, shower or sink. Perfect for storing soap, shampoo, shower gel and more, with no tools required for setup there is no need to damage expensive bathroom titling with drilling or screws. 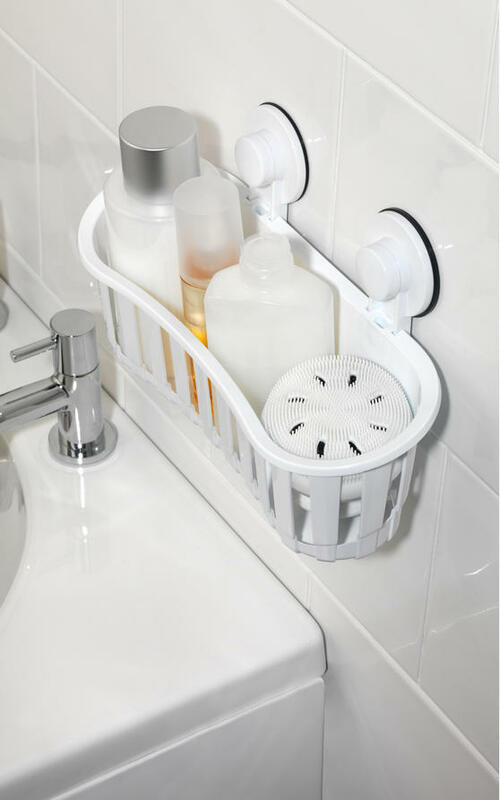 For great suction and stability to hold all of your bathroom items, this Beldray suction storage set is easy to fit, remove and clean. 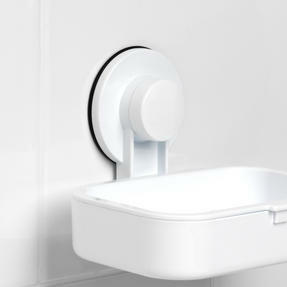 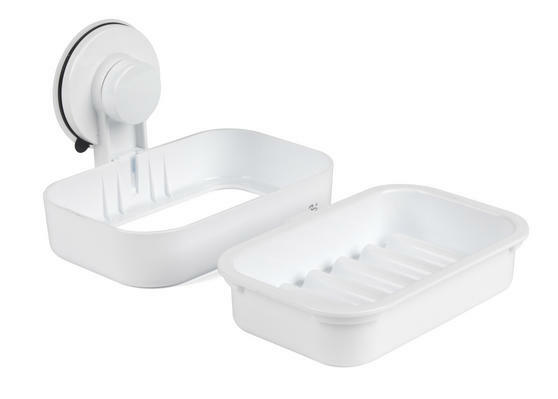 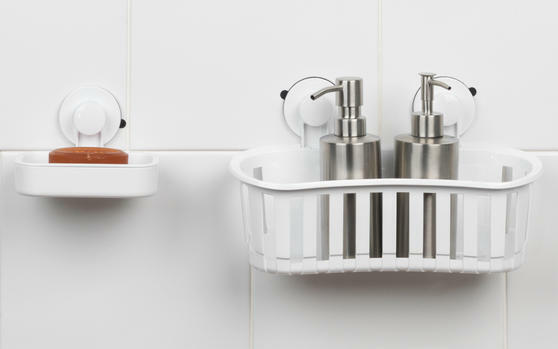 The compact design means that the basket and soap dish take up minimal space while also neatly storing toiletries within close reach. 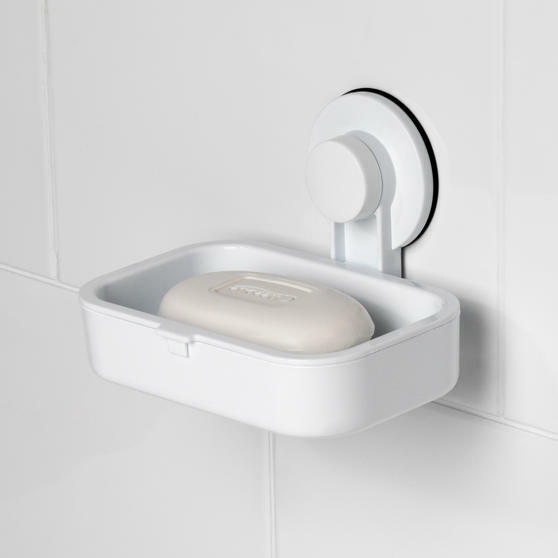 With no tools required, they each feature strong suction cups that provides a secure hold on any smooth bathroom surface. Measuring 30 x 11 x 17 cm, the shower basket can take up to 4 kg capacity and can also be removed or relocated without causing damage. 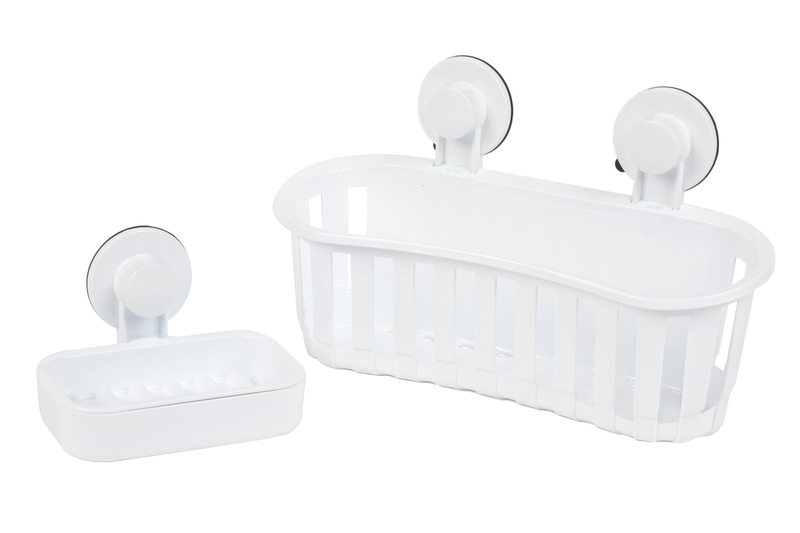 Made from ABS with PP plastic, this brilliantly durable storage set will not rust, while the white colour will suit any bathroom decor.